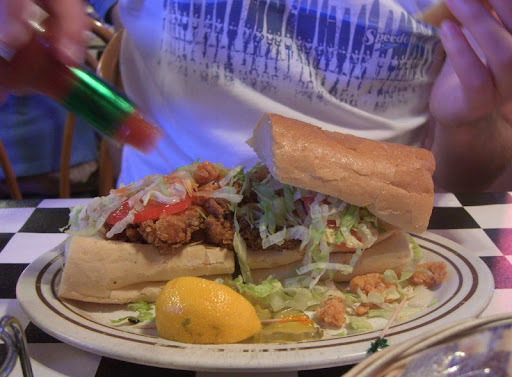 Our first restaurant stop in New Orleans was the Acme Oyster House. 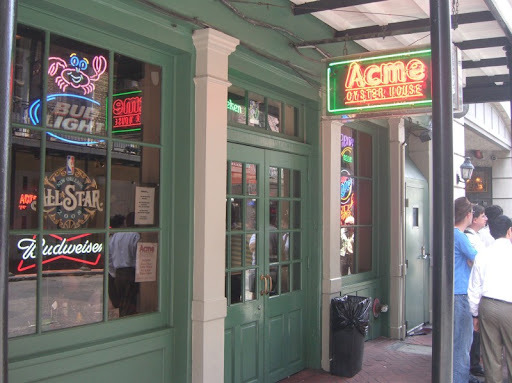 Just off of Bourbon, Acme and their rival Felix's across the street have been serving up oysters for a long time. Acme seems to be winning the battle at the moment - despite having a larger capacity, they often have a line out front while Felix's is relatively quiet. 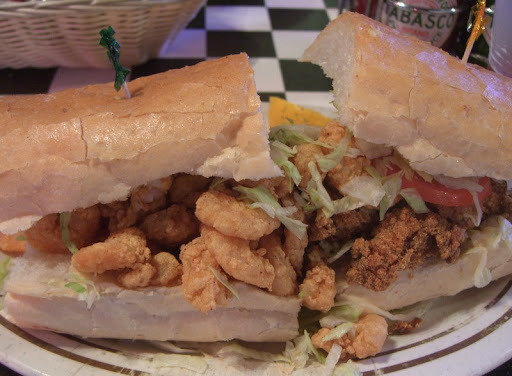 At Acme, we opted for a po'boy as our oyster delivery vehicle, ordering a shrimp and oyster combo (segregated with one side shrimp, the other oyster). It hit the spot - especially the oysters, which were perfectly fried and had a rich, but not too overpowering oystery taste. 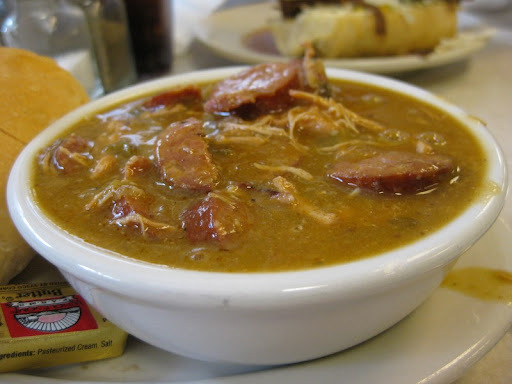 We also had a bowl of their seafood gumbo, which was good, but nothing like the bowl we had at Don's Seafood Hut in Lafayette. It was more of a standard gumbo with some seafood thrown in, whereas Don's had an amazing seafood flavor throughout the base. Not to leave Felix's out, we headed across the street for some oysters on the half shell. We stood at the bar as they shucked us a dozen. They were nice and small, well shucked, and had a very pleasant, delicate flavor. So, it's not because of oyster quality that they are losing out to Acme. 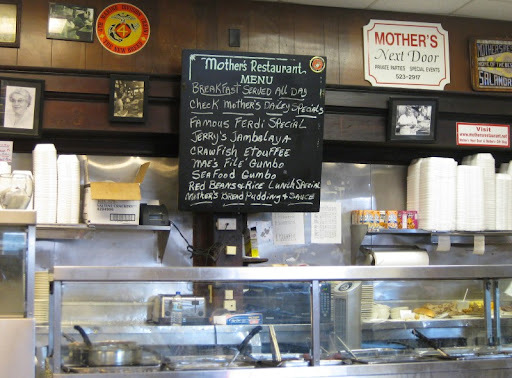 Back on the po' boy hunt a different day, we had lunch at Mother's, another long-standing establishment tucked away on a corner just outside of the french quarter. Inside, the place had a great feel - friendly, but with a healthy dose of attitude. 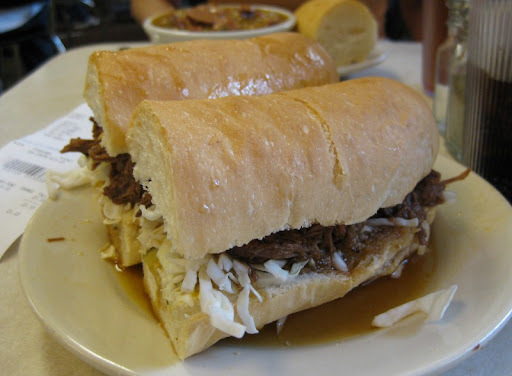 We had read that the debris po' boy (so named because it is made with roast beef trimmings) was the thing to get - big, messy and delicious. It only delivered on two of those three adjectives - it certainly was big and messy. Not so delicious, though - pretty bland and uninteresting. 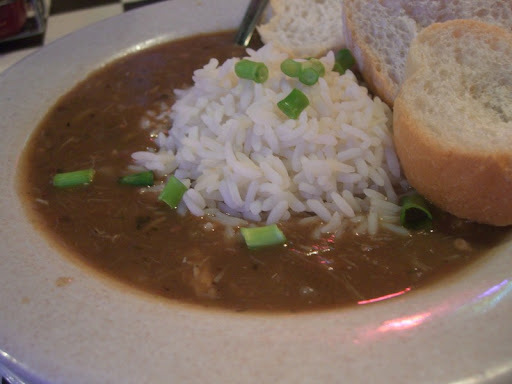 We also had a bowl of filé gumbo. Filé is a powder made from sassafras leaves that is used as a thickening agent. Unfortunately, the gumbo was also pretty tasteless, and tossing in some hot sauce couldn't make up for it. So, thumbs up for atmosphere, thumbs down for food. 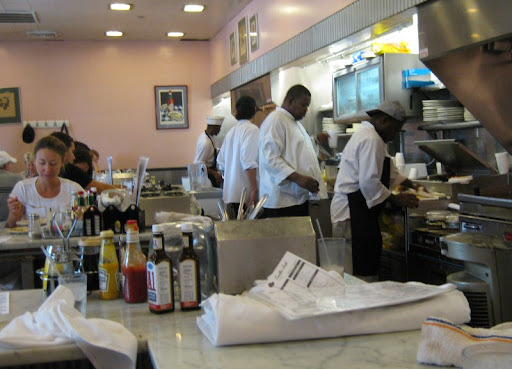 Seating is all counter service, with the grill right there behind. 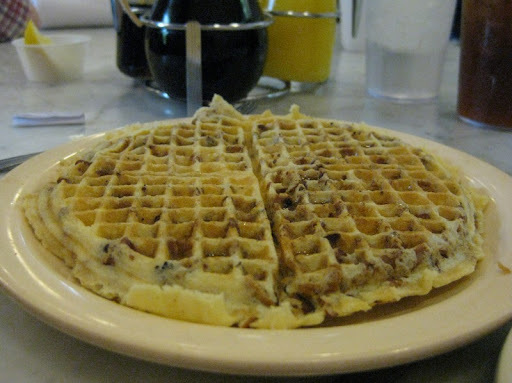 We ordered a pecan waffle, which was very good. A generous helping of pecans added a nice texture and the flavor went really well with the syrup. 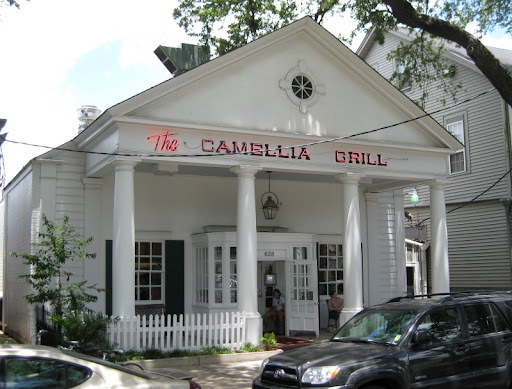 Although the food didn't always fire on all cylinders, we really enjoyed eating at these old-school eateries. Hey Michael - Acme, another place on my "list"....thanks for another delicious read. I've eaten at Acme, and it was ok. But I have always liked Felix's better. 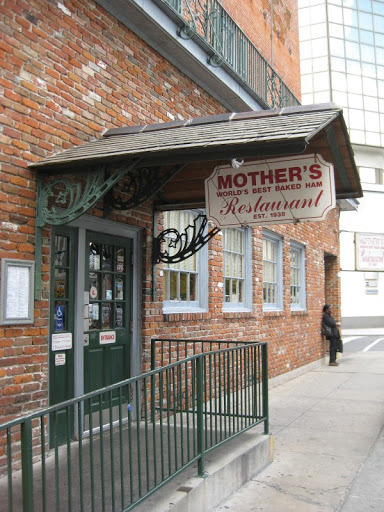 Maybe it's due to it's the first place I went for oysters on my first trip to N.O. Acme just didn't live up to the hype of the long lines it generates. It's not a bad place, just seemed a little overated for me.